This is a sketch from SCS, I don't remember which one, but I love it! My color combo is pirouette pink, kiwi kiss, and blue bayou, with some chocolate and soft sky thrown in. Very cute Becky! Thanks for hosting this week. This is so pretty Becky! The colors are fantastic! Love the layout with the scallops too! TFS! This is ab-fab...absolutely fabulous! Love the colors and crispness! This is adorable, Becky! I love how you matted the three flowers on the 3/4" circles. Thanks for the inspiration! Becky, I always think your cards are beautifully designed and then every week they just keep getting better and better! Awesome card,I love it! Purty SCHTUFF, there, Becky! I heard that my friend, Tiffany (#1 Rising Star), got a chance to meet you at convention. She knows I am a fan of yours, so she just had to rub it in that she met you face to face! OH, that TIFFANY! HA HA! This is so pretty! 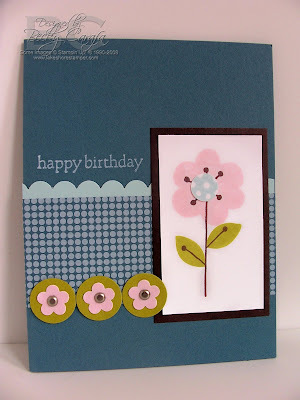 I love the added little flowers in circles and these colors look great together! Cute Cute Cute! Love these colors together!! very purty, Becky. love the three little circle with those flowers. just lovely. I love EVERYTHING about this card! 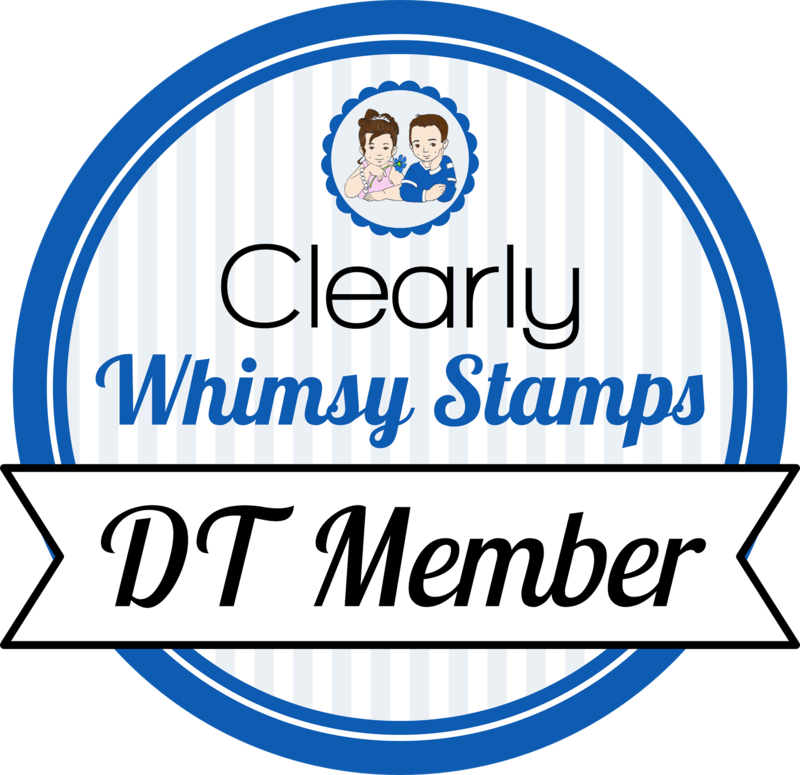 The colors, the layout and the stamps.....it's perfect!